Lupus is a chronic autoimmune disorder that affects the body’s skin, joints, and internal organs. The human immune system produces proteins called antibodies that protect the body from viruses and bacteria. In Lupus (and other autoimmune diseases), the immune system cannot tell the difference between these viruses and “bad” bacteria and the body’s healthy tissues. Thus, the immune system creates auto-antibodies that attack and destroy healthy tissue by mistake. This can damage your joints, skin, blood vessels, organs and tissues, and causes pain and inflammation. There are a number of different types of Lupus. The most common type is systemic lupus erythematosus (also known as SLE), which affects several parts of the body including the skin, joints, and the internal organs and nervous system. Cutaneous Lupus is another type of Lupus which affects the skin only, causing rashes and lesions. Cutaneous lupus is divided into several subtypes, including acute cutaneous lupus erythematosus, subacute cutaneous lupus erythematosus, and chronic cutaneous lupus erythematosus. Chronic cutaneous lupus erythematosus includes discoid lupus erythematosus, lupus erythematosus profundus, chilblain cutaneous lupus, and lupus tumidus. Subacute cutaneous lupus causes sores after exposure to the sun. Discoid lupus causes a rash that does not go away. Another type of lupus can be triggered by medication. This type of drug-induced Lupus is not a disease per se, but is a condition caused by certain drugs that causes symptoms similar to systemic Lupus. This type only rarely affects major organs and the Lupus-like symptoms usually go away when the individual stops taking the Lupus-inducing medications. The exact cause of lupus is not known. While anyone can have Lupus, it is more common among women, especially African American, Hispanic, Asian and Native American women. Problems related to Lupus flares can be mild to life-threatening and Lupus symptoms may come and go. In the rheumatology world, active symptoms are called “flares”, which may fade into remission and come back again. Medical evidence documenting these symptoms may include doctor observations, an electrocardiography, and blood tests, but the diagnosis is is also dependent on the type of maladies suffered. As you can see, lupus is difficult to diagnose because it has such a variety of symptoms that affect multiple systems in the body and those symptoms commonly have causes other than Lupus. In fact, it is possible to test positive on some diagnostic tests for Lupus and not even have the disease. Lupus develops over time and, as stated above, symptoms appear and disappear. It is important for your doctor to document your symptoms over time and to rule out other possible causes of your symptoms. There is no specific medical test to diagnose lupus, and it may take months or years to diagnose the condition. 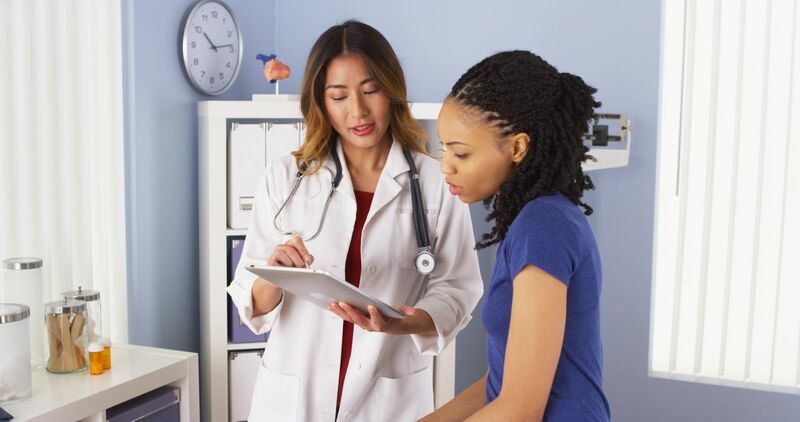 If your doctor suspects you may have Lupus, he or she will order blood tests, such as a CBC, which may reveal low levels of red and white blood cells, platelets, and blood serum. Other routine lupus tests include urine tests (to see if the kidneys are filtering properly and to test for protein in the urine), blood tests that indicate inflammation of the body’s tissues, blood clotting time tests, tissue biopsies, and an antinuclear antibody test. There is no known cure for lupus; however, medicines and lifestyle changes can help control its symptoms. Lupus is typically treated with anti-inflammatory corticosteroids, anti-malarial immuno-suppressives and anti-coagulant medications, depending on the symptoms that are present. In addition, patients with Lupus are generally advised to get plenty of rest at night and to take naps during the day, to stay out of the sun, avoid fluorescent and halogen lights, get regular exercise, eat a good diet, and stop smoking. The most important part of a long term disability (LTD) claim for lupus is the medical evidence to support the claim. In successful claims, medical documentation typically shows that one or more of the claimant’s major organs or body systems are affected by Lupus and that at least one of those organs or body symptoms is affected to at least a moderate level with documented symptoms, such as severe fatigue, fever, malaise, or involuntary weight loss. Other medical evidence may include records showing you have experienced repeated manifestations of Lupus with constitutional symptoms (severe fatigue, fever, malaise, or involuntary weight loss). Your records may also show marked limitation in your activities of daily living, your ability to function socially, and/or completing tasks in a timely manner due to deficiencies in concentration, persistence, or pace. Individuals can also qualify for Long Term Disability for lupus if they can prove that they are unable to work due to the health problems caused by lupus. The claims examiner for the LTD insurance company will review the evidence on record in the claim to determine the claimant’s residual functional capacity (RFC). In other words, the examiner will assess the physical, mental, and sensory limitations that can affect the claimant’s ability to work. For example, an individual with lupus might have the following physical limitations: extreme fatigue, rashes, chest pain, joint pain, shortness of breath, headaches, and abnormal heart rhythms. These limitations can make it difficult to stand or walk for a lengthy period of time, and can make it difficult to grip and manipulate objects, which rules out many jobs. The mental abilities that the claims handler evaluates may include the ability to understand, remember, and carry out instructions, and respond well to supervision, co-workers, and work pressures in a work setting. Those with lupus may suffer significant personality changes, including anxiety and severe depression, and may have difficulty concentrating or have increased forgetfulness. The insurance company claims handler should take these limitations into account when deciding if the applicant can do even simple, routine tasks that do not require skill. An LTD claims evaluation may also look at the claimant’s sensory limitations. The examiner should evaluate impairments of the five senses and impairments that impose environmental restrictions. Lupus patients often have vision problems and skin issues, including photosensitivity, and they may suffer seizures. All of these limitations are viewed in combination to determine if an individual is able to work. As lupus is a chronic disease that may cause increasing damage to the body and resulting limitations over time, you may have been able to work at one time. But if your limitations have become so great that you are no longer able to work, you may qualify for Long Term Disability benefits. Although proving total disability based on a diagnosis of Lupus can be more difficult than proving other disabling conditions, working closely with your medical professionals and an experienced long term disability attorney can improve your chances of winning your disability claim.